Speech by Bruno Rodríguez Parrilla, Minister of Foreign Affairs, at the 68th Session of the United Nations General Assembly. New York, October 29, 2013. The United States Department of Commerce has imposed as conditions for the issuing of a license authorizing any supplies of equipment, devices or medications to Havana’s William Soler Pediatric Cardiology Center, the exclusive use of these on Cuban patients, monitoring their final destination to ensure that they will not be utilized for acts of torture, for human rights violations, for biotechnology products, or re-exported. Appendix E of the license requests countless details in order to ensure that the Cardiology Center has no links with the production of chemical or biological weapons, with missile technology, or nuclear weapons. Dozens of eminent specialists, at least five recognized U.S. hospitals and many others on the planet are well informed of this institution specializing in pediatric Cardiology and Cardiac Surgery which, since 2010, has performed heart operations on 1,101 children and has treated tens of thousands of young patients. As a consequence, Cuban girls and boys cannot be treated with the Amplatzer device to cure inter-auricular communication or close vascular short circuits in the heart arterial canal, not even with devices used in interventionist catheterism, or receive high quality medications for the treatment of cardiac insufficiency, antiarrithymic agents and latest generation antibiotics. For this reason, dozens of minors have had to undergo thoracic surgery which could have been avoided. Another 102 children with pulmonary hypertension who have undergone surgery could not be treated with nitric oxide gas, one of the best therapeutic treatments available. Similarly, the Cardiovascular Surgery Institute lacks spare parts, contrast and advanced software needed for echo-cardiographs. The Frank País Orthopedic Hospital was unable to replace the SOPHA Gamma Chamber, necessary for the diagnosis of malignant tumors, bone and joint infections. The Pedro Kouri Tropical Medicine Institute could not access the children’s anti-viral solution Kalestra, given that it does not have a license from the Department of the Treasury for its import. This medication inhibits the replication of the virus in children born with AIDS, increases their immunity and prevents opportunistic illnesses. The human damage resulting from the United States economic, commercial and financial blockade imposed on Cuba is incalculable. It causes suffering and constitutes a massive, flagrant and systematic violation of human rights. Seventy-six percent of Cubans have lived under its effects from birth. The blockade can be classified as an act of genocide, in accordance with Article II of the 1948 Geneva Convention on the Prevention and Punishment of the Crime of Genocide; and also as an act of economic warfare, in accordance with the Declaration concerning the Laws of Naval War, adopted in 1909. The State Department is lying and manipulating data concerning remittances from the [Cuban] émigré community and small donations from non-governmental organizations, which this very department blocks, in order to present its government as a donor of humanitarian aid to our nation. 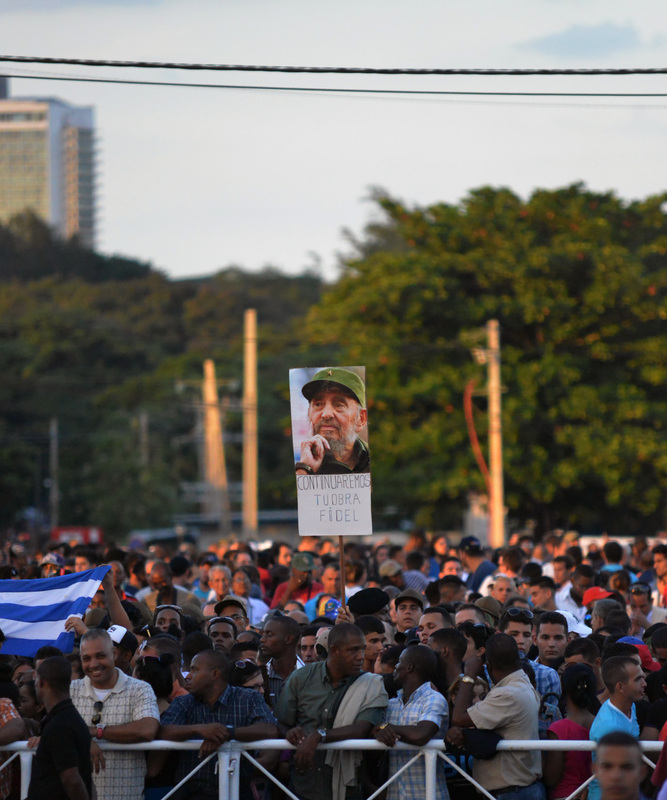 “The majority of Cubans support Castro […] An effective political opposition does not exist […] &apos;the only foreseeable means of alienating internal support [to the government] is through disenchantment and disaffection based on economic dissatisfaction and hardship […] all possible means should be undertaken promptly to weaken the economic life of Cuba […] denying money and supplies to Cuba, to decrease monetary and real wages, to bring about hunger, desperation and overthrow of government.” End of quote. It is barbaric and unprecedented that, 53 years later, the same policy persists. The economic damage accumulated over half a century due to the blockade amounts to $1.16 trillion, more than one billion billion. We have attained undeniable results in the elimination of poverty and hunger, in health and education indicators which are of global reference; in the promotion of gender equality; in equitable freedom and well-being: in social consensus; in the democratic participation of citizens in government decisions; in the reversal of environmental degradation; and in the development of international cooperation with a hundred Third World countries. How much more could we have done without this colossal obstacle to our development and the enormous human and financial costs which they have imposed on us? 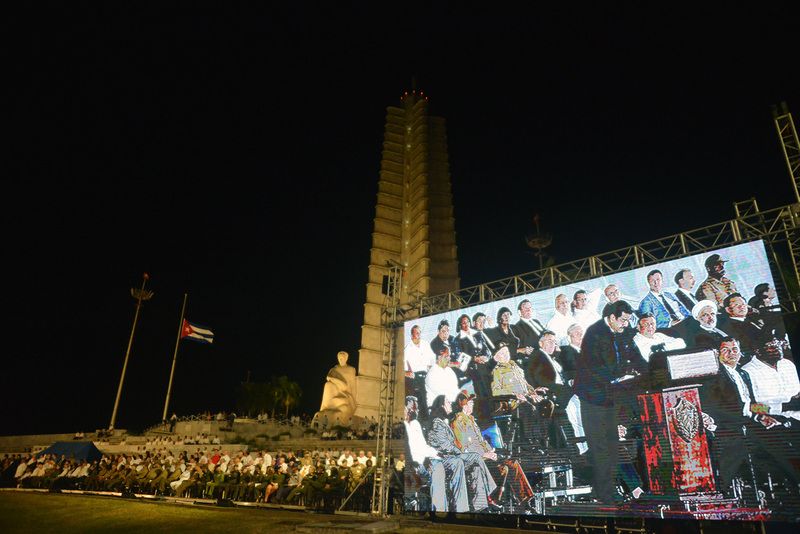 During the government of President Obama, the blockade has been intensified, particularly in the financial sector. Historically, the United States has employed in the prosecution and vigilance of our financial transactions and economic relations the enormous technological might of its recently exposed massive espionage system. From January 2009 through September 2013, 30 U.S. and foreign entities have been fined to a total of more than $2.45 billion for their relations with Cuba and other countries. In December of 2012, the British HSBC bank was fined, for the same reason, a total of $375 million and the Japanese Tokyo-Mitsubishi UFJ, $8.6 million. In March 2013, the Reuters agency suspended its banking and financial information services. 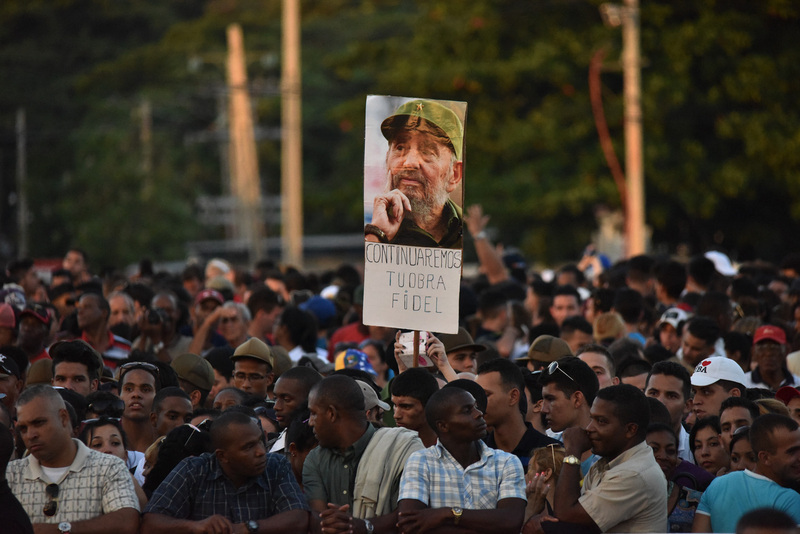 The economic siege has been tightened and its impact is felt in the shortages and difficulties suffered by Cuban families in all aspects of their lives. The United States is not a trade partner of Cuba, as its representatives shamelessly affirm, because it cannot be, being a state to which Cuba cannot export or buy goods or services from, or use the dollar in transactions; a state whose subsidiaries in third countries cannot allow us to acquire medicines or food due to the Torricelli Act, which also prohibits the entry into U.S. ports for 180 days of all ships which dock in Cuba; a state which prevents other nations from selling us any product which has more than 10% U.S. components, or from exporting to the United States any product which contains Cuban raw materials. It is no partner as a state where the Helms-Burton Act is in effect, legislation which extended in an unprecedented manner the extraterritorial dimensions of the blockade and fully codified a “regime change” strategy and subsequent intervention in Cuba; or the state which invoked the Trading with the Enemy Act of 1917, only applicable in situations of war and only enforced in relation to Cuba. Our small island is not a threat to the national security of the superpower. Why, therefore, is it that U.S. citizens cannot have access to prime quality Cuban products, to our latest generation medications? Why are its businesspeople losing opportunities? Why are businesses not opening which would create jobs in times of crisis? Why is it that U.S. companies cannot have access to the new Mariel Special Development Zone? The sanctions remain intact and are being applied with total rigor. This is not a bilateral issue. The blockade is aggressively extraterritorial and a violation of human rights which violates the sovereignty of all states. It is a transgression of international trading norms and freedom of navigation; the cruel inclusion of medicines and food breaks international humanitarian law. It is a hostile and unilateral act which must cease unilaterally. The blockade is the principal obstacle to broader Internet access and to information and communications technologies, by restricting the island’s bandwidth, making connectivity more expensive and preventing connection to nearby underwater cables. The sanctions seriously limit contacts between the two peoples and those which are permitted are conditioned with purposes of “regime change” and internal destabilization. Despite the fact that Washington has very selectively authorized some cultural, academic and scientific exchanges, these continue to be subject to severe restrictions and multiple projects of this kind were never materialized because licenses, visas or other bureaucratic requirements were denied. Cuba is the only destination on the planet to which travel is prohibited for U.S. citizens. This is a relevant constitutional issue, because, in this sense, U.S. citizens are not equal before the law, depending on whether or not they are of Cuban origin. The [Cuban] national baseball team has not been able to collect payments owed for its participation in the 2nd or 3rd World Classics, of 2009 and 2013. Licenses were denied 300 U.S. runners to participate in the 2012 Marabana marathon. More than 300 musicians who participated in dozens of artistic projects in this country have not been able to receive remuneration. 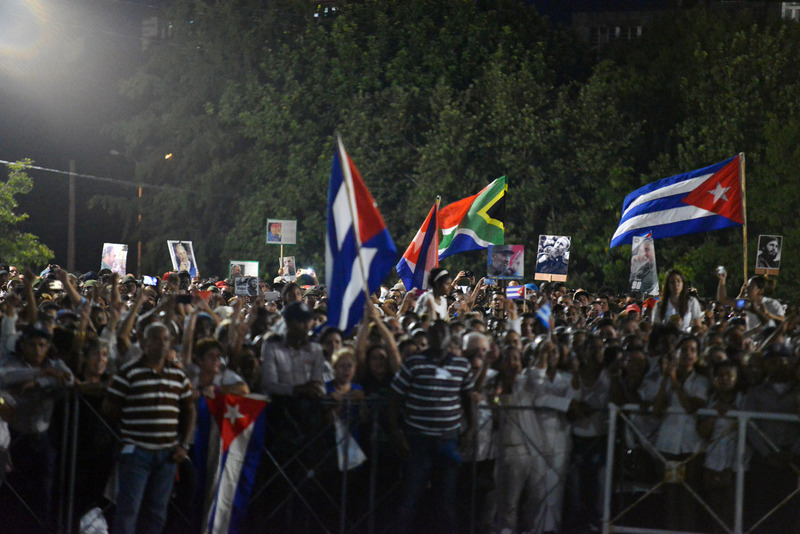 The Cuban émigré community faces discriminatory measures. 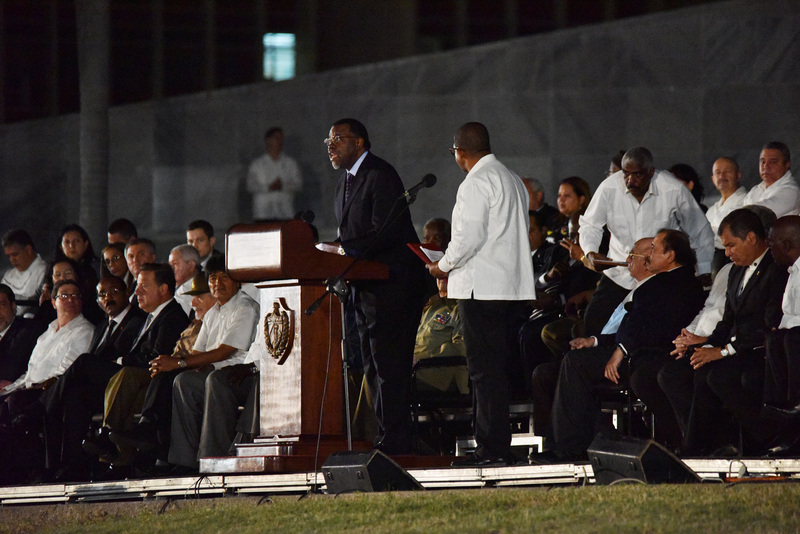 The response to Cuba’s January 2013 migratory law reform has been the continuing application of the Cuban Adjustment Act and the “wet foot/dry foot” policy which encourage illegal, unsafe emigration and trafficking in persons, leading to the loss of human life. Curiously, the Office of Foreign Assets Control (OFAC) froze the funds of a British non-governmental organization which were destined to acquire and distribute, in the UK, the book The Economic War against Cuba, by a European author, published by Monthly Review Press, based in New York. For three months, funds belonging to the Latin American Council of Churches, meant to cover costs of the group’s 6th General Assembly in Havana, were retained. The humanitarian collaboration we offer dozens of peoples, principally medical and educational, is the object of repression. The blockade is an uncivilized action which impedes the free movement of persons, the flow of information, the exchange of ideas and the development of cultural, sports and scientific ties. The U.S. policy toward Cuba suffers absolute isolation and discredit worldwide and lacks any ethical or legal foundation. This is evidenced by the more than 180 votes in this General Assembly; the speeches of dozens of heads of state and government in the General Debate; and the arguments of member countries and the international organizations listed in the UN Secretary General’s Report. President Obama can use his broad constitutional authority, without passing through Congress, to generate a dynamic which could change the situation. Definitely U.S. citizens say they elected him for change. What is gained with the inertia of an old, obsolete policy, reflective of a bipolar confrontation, infirm and ethically unacceptable, which has not worked for 50 years? Why not listen to the growing majority opinion in U.S. society and the Cuban émigré community, even in Florida, which supports normalization of bilateral relations and opposes the blockade and the travel ban? Why not accept that we are a nation and an independent state, equally sovereign? Would it not be better to pragmatically renounce ideological obfuscation inherited from two generations of U.S. politicians, which has not worked, and stop spending taxpayers’ dollars attempting, unsuccessfully, to change the Cuban government? The persistence of the State Department in designating Cuba, in an arbitrary and unfounded fashion, as a state sponsor of international terrorism calls into question the credibility of the United States, precisely from whose territory acts of terrorism have been organized, financed and carried out, leading to 3,478 deaths and 2,099 severe injuries in Cuba. Known international terrorist Posada Carriles has found a comfortable refuge in Miami, while still serving unjust and lengthy prison sentences are four of the Five Cuban anti-terrorist fighters. What prevents the U.S. government from freeing them in a humanitarian gesture or to uphold justice? 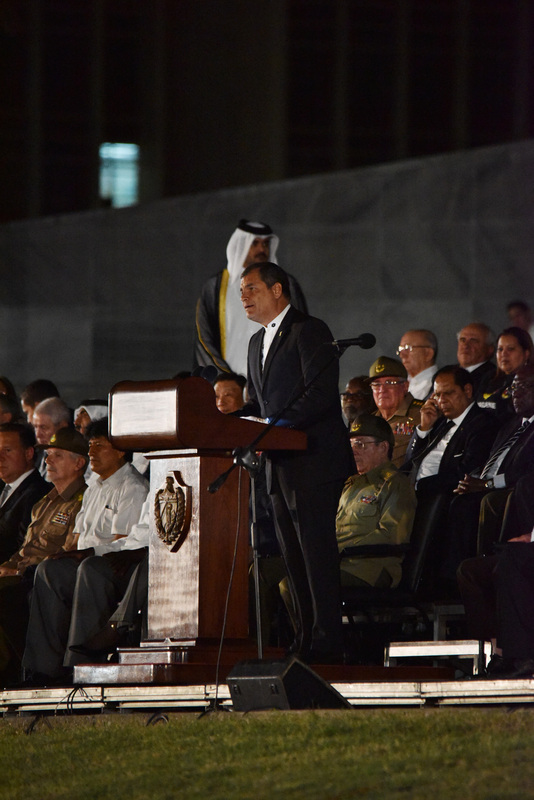 The Cuban government, with broad majority support and active participation by the people, continues to be immersed in a profound process of economic change, directed toward making our socialist economy more efficient, raising the population’s standard of living and preserving the social conquests of the Revolution. 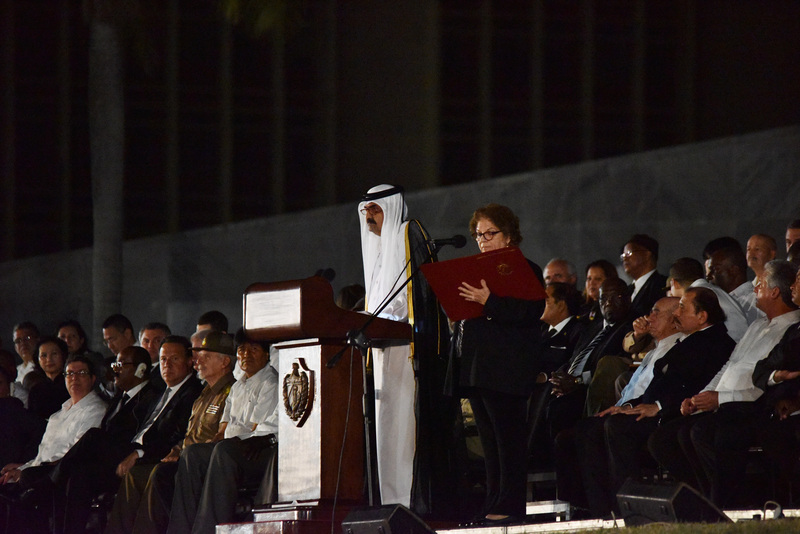 These transformations enjoy broad international recognition and the growing cooperation of many nations, in particular, those in the Latin American and Caribbean region, with whom different forms of integration are being strengthened. The basic principles of U.S. policy toward Cuba have remained unchanged, anchored in the Cold War. The dangers which threaten the existence of our species are serious and imminent. To preserve human life, peace must be preserved and, to do so, a profound change is urgently needed in the manner in which the problems and conflicts of the world are addressed and resolved, through dialogue and cooperation, without egoism or the philosophy of plunder which leads to war, the use of force and coercive economic measures, which silently wound and kill. as well. It is true that great differences exist between the two governments, but the only productive path forward is to find a civilized way to relate to each other, recognizing that we are neighbor states but different, and that only the peoples have the right to determine their own affairs, their political system and make economic decisions according to their legitimate interests. 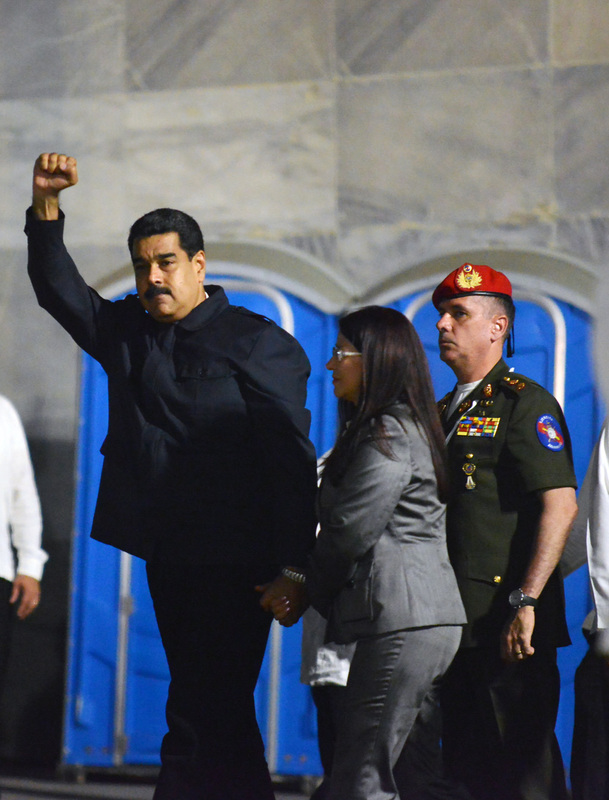 Therefore, what must prevail is dialogue, negotiation and even cooperation in so far as it is possible and convenient, to the benefit of both peoples and hemispheric relations. The recent resumption of migratory and postal service conversations, as well as the development of contacts about other issues of mutual interest, such as response to oil spills operations, maritime and aerial search and rescue procedures, as well as aerial and aircraft security, demonstrate that this is possible and useful. 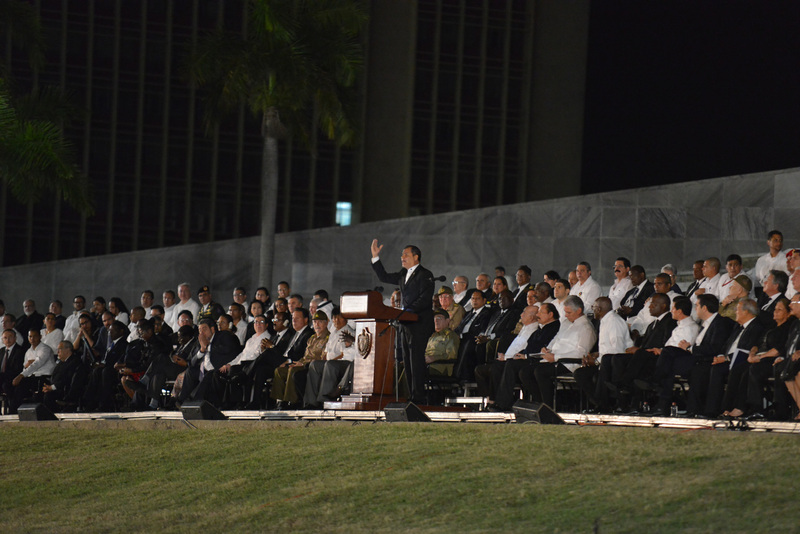 The government of Cuba, as the expression of its desire for peace and respectful coexistence, reiterates its disposition to advance toward the normalization of bilateral relations and reaffirms its willingness to establish a serious, constructive dialogue, in conditions of equality and full respect for our independence.